Here's a great twist on traditional mac and cheese - pumpkin and butternut squash mac and cheese! 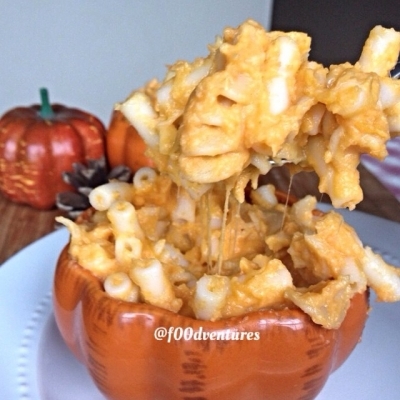 This Mac and cheese is made with pumpkin purÃ©e and butternut squash both of which are good sources of potassium and rich in free radical fighting antioxidants beta carotene and vit c. So not only is this a nutrient rich mac and cheese but it is also super flavorful and cheesy! In the plain Greek yogurt after the cheese has melted.